Introducing...the Playtime Print Collection from TotsBots! Parumpapum! The trumpets are sounding, the drums are beating, shake your rattles; launch day is here! We sang to our babies with Rhyme Time, we read to them with Storytime but now it is time to play! 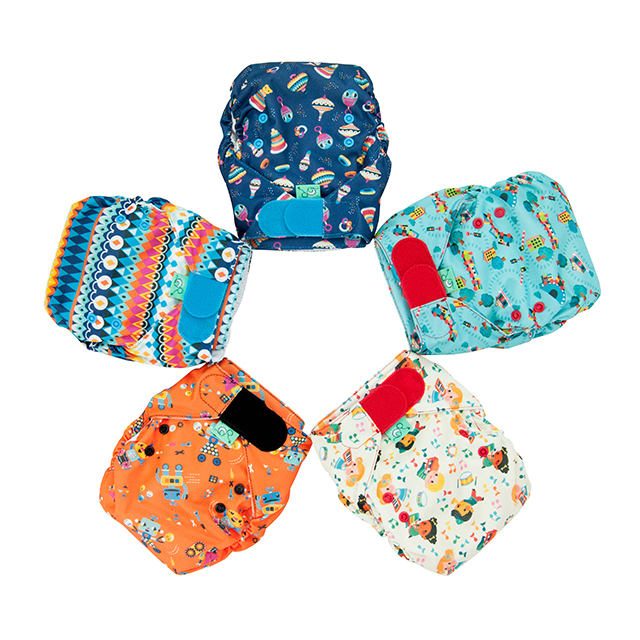 Our new Playtime collection is available in Easyfit Star, Peenut and Teenyfit Star and they are the most fun reusable nappies around! Chugga chugga, Choo Choo has arrived, the perfect nappy for pushing around wooden trains. For the child that loves anything with wheels, we think this is going to be a new favourite! Shake your booty with Rattle and Roll! One for the noise makers, the rattle shakers, for tots that bop and they just can’t stop. Is it ever too early to give them a love of music? Be dazzled and entranced by Kaleidoscope- this isn’t one to be covered up! Bright, bold and beautiful – are we talking about the nappy or the baby? Robobots is the nappy for the mini humanoid who never seems to run out of batteries. How do such small people have so much energy? And why do the cogs in their brain need to work so hard just as bedtime rolls around? Let them dance to their own beat with Parumpapum. The toys of our childhood on the nappy of the future. You’ll be applauding its performance again and again! We are celebrating the toys that can be reused again and again and never fall out of favour; the traditional, the ones that spark imaginations and let them be creative. Our colourful collection captures the magic of childhood and comes in all your favourite styles, the all in one Easyfit Star, our unbeatable two parter Peenut and the adorably tiny Teenyfit Star. Some of the best inventions can stand the test of time; the rattles of our grandparents will still entertain for hours, the kaleidoscopes from our childhood still mesmerize, the wheels still turn on those little wooden trains that have been around longer than we have and TotsBots are still producing nappies designed to last, to be used on multiple children, to conquer the throw-away culture. Have we captured your baby’s favourite toy on a nappy?